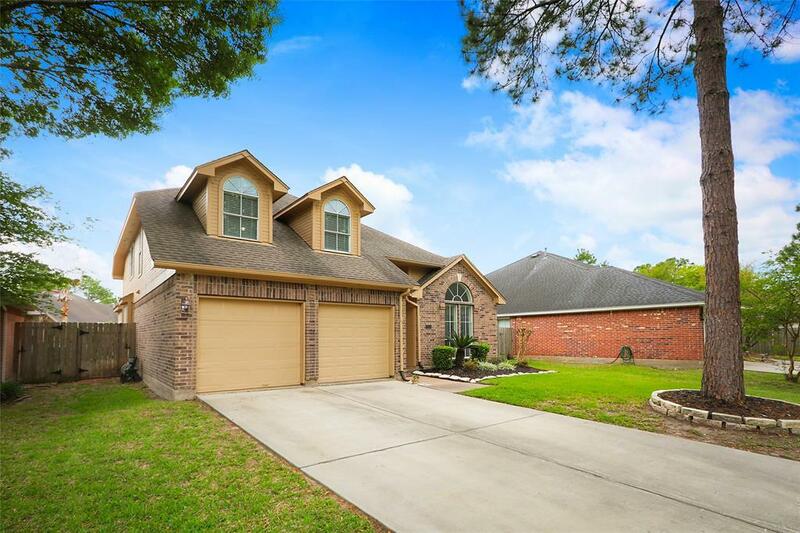 Stunning 2-story David Weekley home on a beautiful tree lined street. Open Concept living great for gatherings features 8k sq ft backyard w plenty of room for entertaining or outdoor activities. 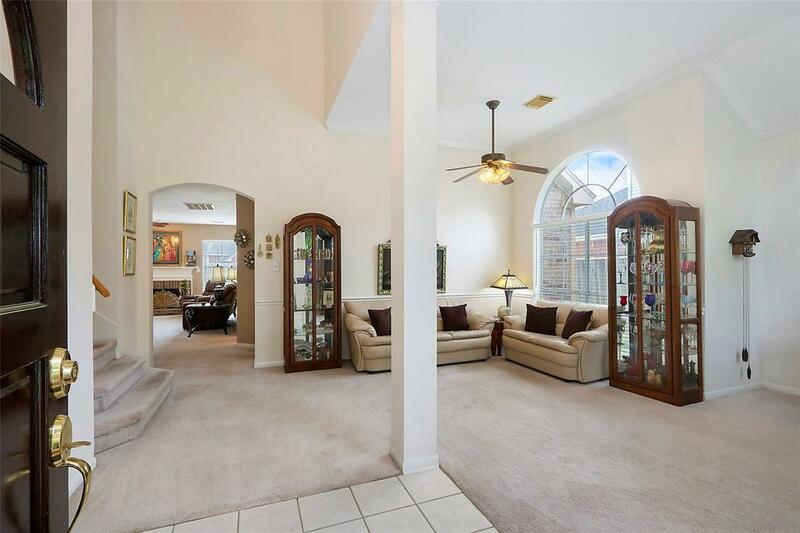 Soaring ceilings in entryway, formal living & dining rm. Eat in kitchen boasts ample granite counters, tile & glass backsplash, island, ceramic glass cooktop overlooking lrg family rm w gas fireplace. Spacious mstr suite down w high ceiling, window sitting area & 2 walk-in closets,bth has dual porcelain sinks, granite counters, 11 drawer vanity, jacuzzi tub, frameless shower, Moen fixtures, tile details shower/tub surround. 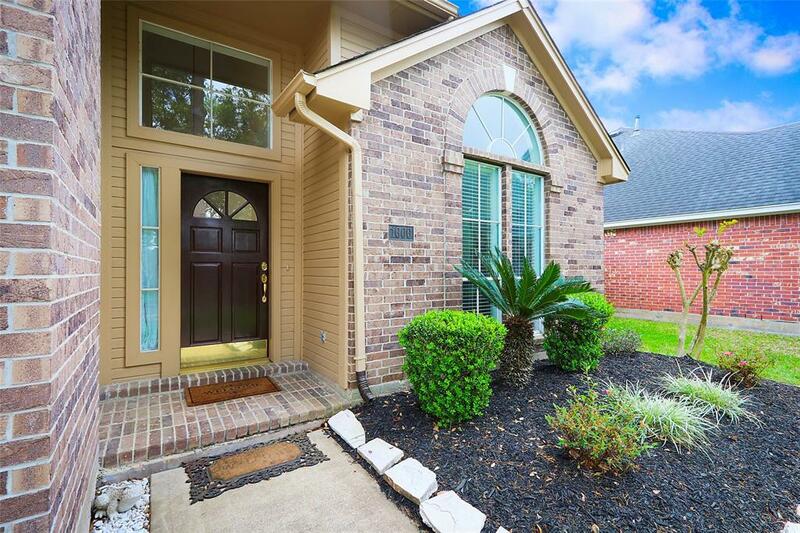 2nd story offers 3 bdrm & full bth w granite counters, easy close mechanisms & tile details. Fresh paint throughout inside & out. Solar screens on all windows. Zoned for North Pointe Elem, Clear Lake MS & Brook HS. NO FLOODING IN HARVEY.